When I joined ActiveCampaign in June 2017, its brand identity was dated. 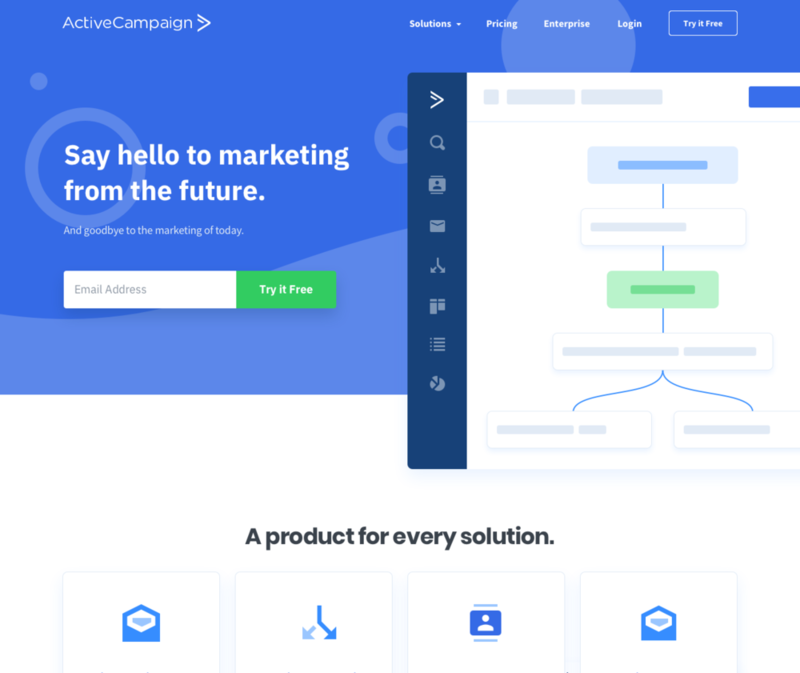 Our team of in-house designers worked together to update ActiveCampaign’s brand including primary and secondary colors, typography, and more. Three designers including myself were tasked with creating brand concepts to present to our CEO. 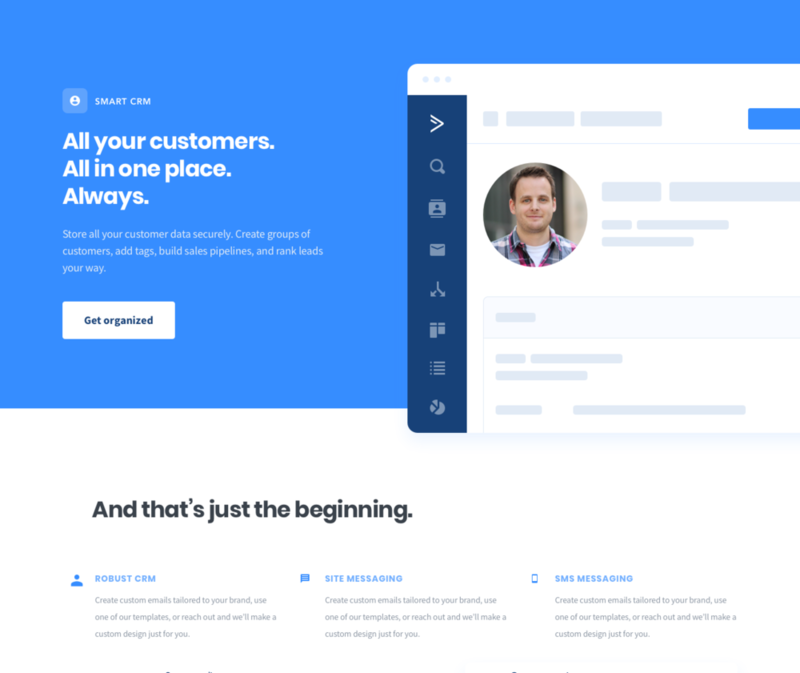 Each of us redesigned ActiveCampaign’s homepage, choosing any fonts, colors, and direction we wanted. 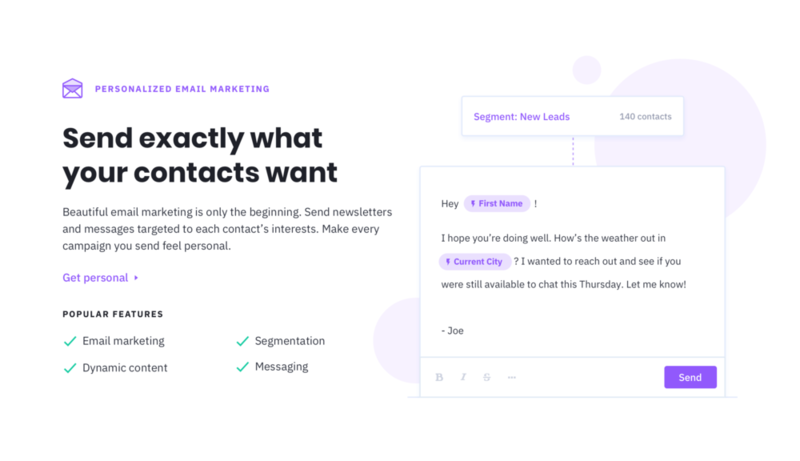 I wanted to take ActiveCampaign’s dated brand and bring it into the present by punching up the saturation of the colors, beefing up the font weights, and creating something as bold and playful as the company itself. Below are a few of my initial iterations that were presented to our CEO. Of the three directions, mine was what we selected to continue with and build a visual brand from. After we got the go-ahead to continue working in this direction, we worked together to finalize our color palette and typography. From there, we started redesigning our homepage and various other pages on our site. We also dabbled in how this brand could be applied to our various products and services. 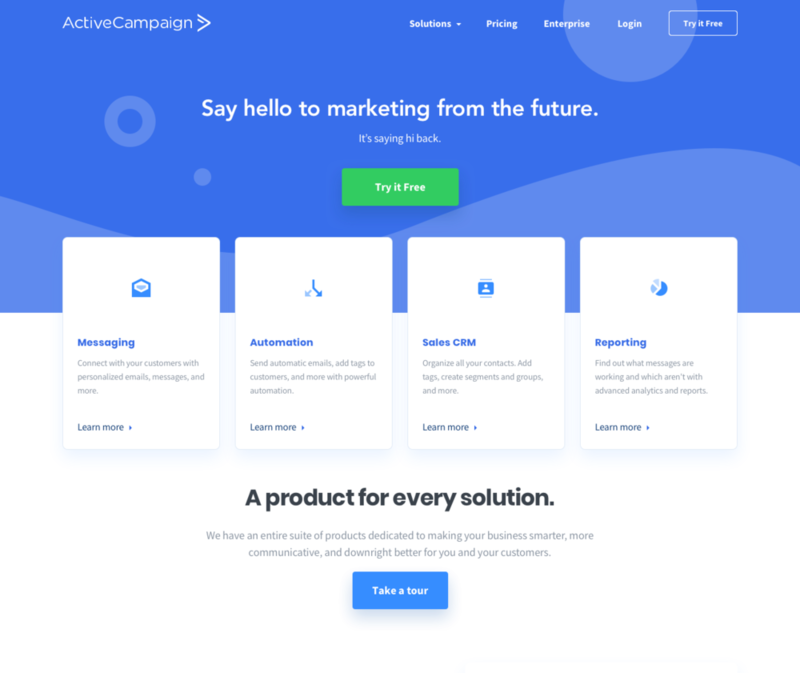 The next few images are designs I created for the ActiveCampaign homepage, which we used to unveil the updated brand styles.